On Thursday, May 14th, weeks after Governor Kate Brown announced droughts in seven counties, Oregon elected officials, labor representatives, youth and environmental advocates on Thursday delivered of thousands of public comments at the State Capitol from Oregonians urging the Oregon Water Resources Department and Governor Kate Brown to reject a City of Cascade Locks water swap proposal with the Oregon Department of Fish & Wildlife in light of concerns that such a deal will open the door for Nestlé to bottle public water in the Gorge. The Oregon Water Resources Department is set to consider two water transfer applications filed by the City of Cascade Locks and the Oregon Department of Fish & Wildlife (ODFW) to facilitate a water rights swap – making ODFW spring water currently used for a hatchery available for the City to sell to Nestlé for water bottling. Residents of Cascade Locks who attended the public comment delivery, including City Councilor Deanna Busdieker, are concerned that Nestlé is not the right fit for their city. A public comment period on the proposal closed last Thursday, May 14. Environmental, youth and labor groups argued that the impacts of a water swap would go beyond Cascade Locks. The public comment delivery was accompanied by water-themed origami works by the youth-led H2Origami Project, which combines natural materials with the ancient art form to create works that bring attention to issues that affect the health of our waterways. While the public comments delivered to the Capitol today are officially directed to the State Water Resources Department, the residents also delivered a copy of each comment to Governor Kate Brown. 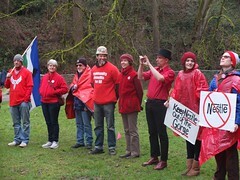 Also on the 14th The Keep Nestle Out of the Gorge coalition submitted its official public comments on both Cascade Locks’ and ODFW’s water rights transfer applications prepared by Crag Law Center. Groups delivered some 30,000 comments, petitions and letter to Governor Kate Browns office on Thursday, May 14th as well. You should continue to reach out to her office asking her to protect Oregon’s water. You can call her office at this number: 503-378-4582. If you live in the SE Portland area this is another great way you can voice your concern about the Nestle water bottling proposal for Oregon. Representative Nosse is hosting a Town Hall to give citizens an easy way to participate in the public comment period regarding the Nestle water bottling proposal. 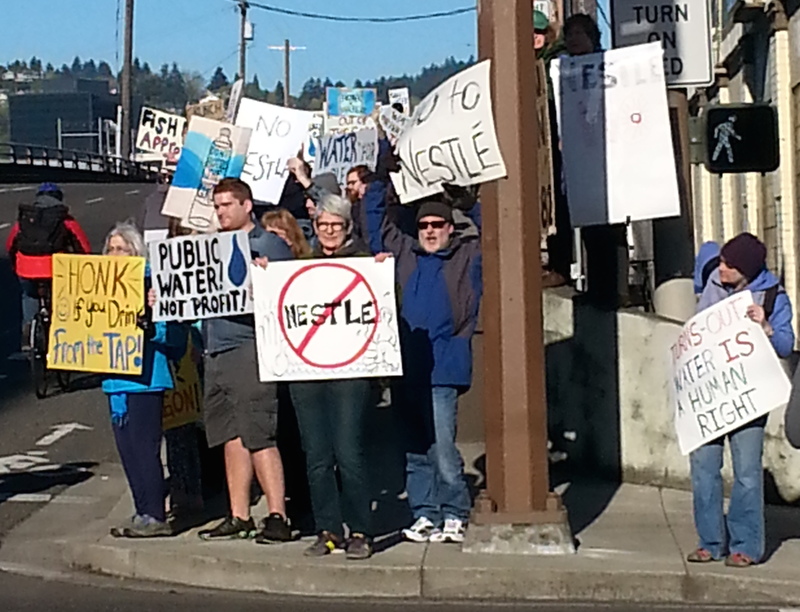 Many constituents have contacted Rep. Nosse’s office regarding the proposed Nestle Bottled Water Plant in Cascade Locks, expressing a number of concerns about it. Rep. Nosse understands the importance of protecting our public water, which is one of our most valued resources. At the request of many constituents he has written a letter to the ODFW Director expressing the many concerns of people in his district, but he knows that folks in SE Portland have many additional questions & concerns. The Oregon Water Resources Department has regulatory authority over water rights transfers and is the state agency that will approve or deny these applications. OWRD’s public comment period on the project extends through May 14th, and Rep. Nosse understands that many busy working families don’t have time to find out how to submit comment to state agencies. Parking will be available, but we encourage using public transportation if at all possible. Information on the proposed plant will be available, as well as laptop stations and paper forms so people can easily & conveniently make their voice heard. The Nosse office & additional volunteers will also be available to take down folks’ input in greater detail for OWRD. Protecting Oregon’s natural resources is a priority for Rep. Nosse, and he is always happy to provide resources for his constituents and to make having your voice heard in Salem as easy as possible. If you have any additional questions please don’t hesitate to contact the Nosse office at: rep.robnosse@state.or.us or (503) 453-0868. Your Public Comments are Needed! The OWRD public comment period is open through May 14th! 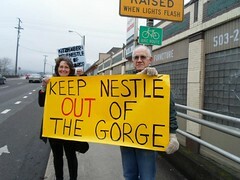 Don’t let the Oregon Water Resources Department approve this spring water for Nestlé water bottling. counties in Oregon have declared a drought emergency. You can submit your comments here. Allowing this state agency to open the doors to a Nestle bottling plant not only sets a bad precedent, but this decision would lead to a wasteful an potentially unsustainable use of a public resource. 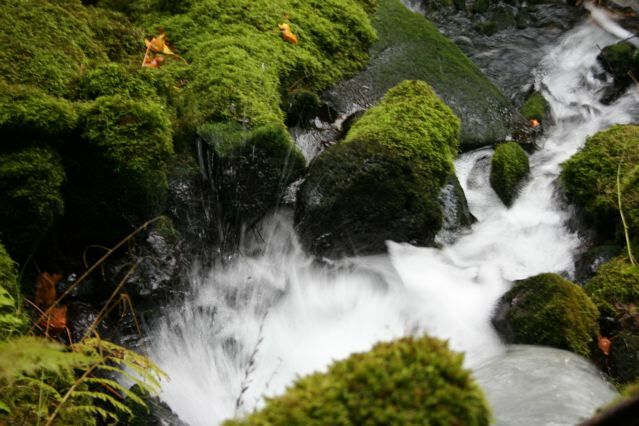 If OWRD approves the transfer applications, it risks creating a future water supply shortfall, putting the City of Cascade Locks, and potentially the State of Oregon, at the mercy of a multi-national corporation with a bad track record in the US and abroad. It is clear that the only reason ODFW has submitted this new water transfer application is because it intends to transfer this water so that it can be sold to Nestlé. Allowing this state agency to open the doors to a Nestlé bottling plant not only sets a bad precedent, but this decision would lead to a wasteful and potentially unsustainable use of a public resource. Oregon’s water is a public resource that should be managed for the benefit of Oregonians. I urge OWRD to deny these applications because of the potentially disastrous results it will have upon the community and the sustainability of Oregon’s spring water. Major Momentum on The Keep Nestlé Out of the Gorge Campaign! 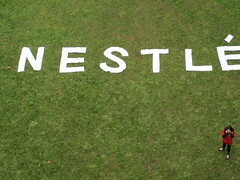 It’s been a busy time on the campaign to Keep Nestlé Out of the Gorge! From last Thursday’s early morning action on the Hawthorne Bridge. 150 people held signs and chanted for Governor Kate Brown to protect Oregon’s water. In the weeks following the Oregon Department of Fish & Wildlife (ODFW) and the City of Cascade Locks announced plans to seek a water rights transfer, instead of an exchange, in order to grant Nestle access to our public water supply. The transfer process is quicker and, alarmingly, does not require a formal public interest review. This attempt by a state agency to intentionally circumvent an outraged public is appalling. Please take a moment to send Governor Brown a message, requesting that she intervene and stop the transfer of public water rights to Nestle. You can also give her a call at (503) 378-4582. On April 16 we held a massive rally on the Hawthorne Bridge during morning rush hour in response to this latest proposal. 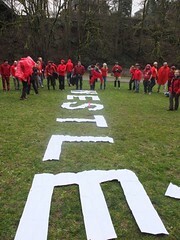 About 150 protesters demonstrated their opposition to Nestle’s plan to bottle water from the Columbia River Gorge. In case you missed it, you can check out coverage of the event on KGW, KATU, KOIN, and The Oregonian. We’re not the only ones upset by the new water rights transfer proposal. Oregon State Representative Ann Lininger and seven members of the Oregon State Legislature sent a letter to Governor Brown and the ODFW Director Melcher expressing deep concerns about the proposal’s elimination of the public interest review requirement and about the state’s role in Nestlé’s water bottling deal. They argue that this deal would “[establish] a dangerous precedent regarding use of Oregon’s water.” This letter is proof that our hard work is paying off! If you would like to thank Representatives Lininger, Lew Frederick, Barbara Smith Warner, Ken Helm, Phil Barnhart, Alissa Keny-Guyer, Peter Buckley, Nancy Nathanson, and Senator Michael Dembrow for signing the letter to Governor Brown, you can find their contact information on the Oregon State Legislature webpage. 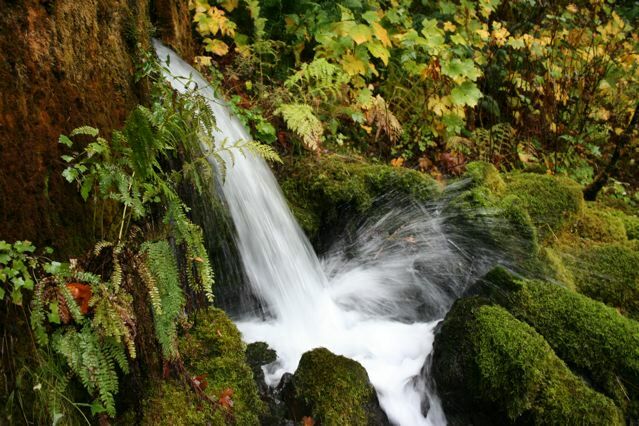 According to this article from the Oregonian, the Oregon Deptartment of Fish and Wildlife (ODFW) submitted an application on Friday to transfer part of its water right to Cascade Locks, opening the door for Nestlé’s proposed bottling plant. It wants the Water Resources Department (WRD) to put two other transfer applications on hold in order to expedite the process. Not only does this new application result in the permanent water rights transfer of pristine Oxbow Spring water, but it also excludes a public interest review. 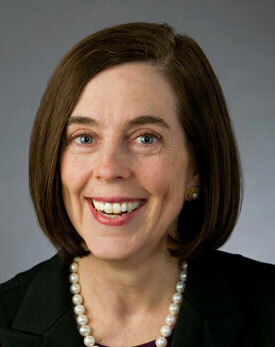 Call Governor Brown’s public comment line: (503) 378-4582. 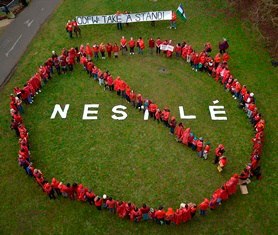 Remember, we have protected our public water resources from Nestlé for five years now, thanks to your actions – we can continue to win if we keep up the pressure on our new governor. Stay posted! A 30 day comment period will officially start as soon as this Thursday if the Water Resources Department agrees to put the two other transfer applications on hold. We will need everyone who cares about this issue to participate in that public comment period making it clear to both our governor and our state agencies that a Nestlé water bottling plant is wrong for the Gorge and wrong for Oregon. Oxbow Springs on Oregon Department of Fish and Wildlife land in Cascade Locks, Oregon. This is the spring water Nestlé wants to bottle under its Arrowhead Brand. Since our last post there’s been a lot of buzz around the controversial issue of Nestlé bottling our public water resources in the Columbia River Gorge. And there have been big changes. First, the Oregon Department of Fish and Wildlife (ODFW), has a new director, Curt Melcher. 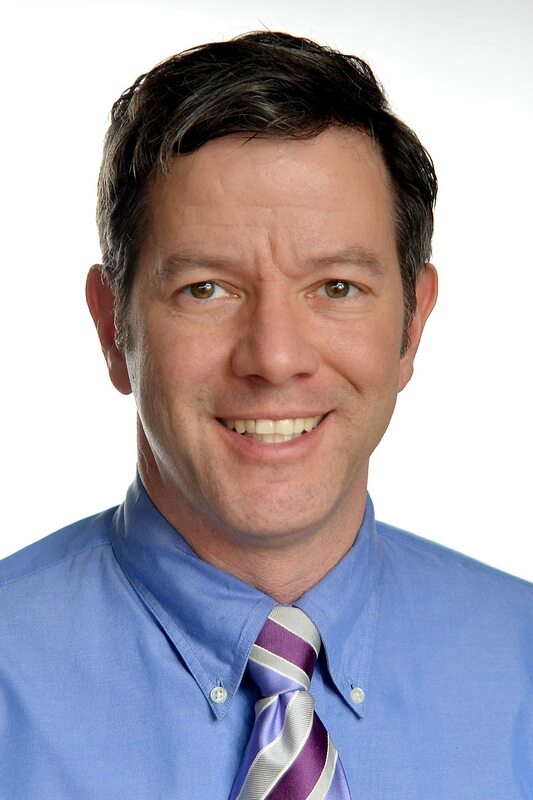 And right after he was hired, Melcher got a new boss – former Secretary of State, Kate Brown, who became Governor when John Kitzhaber resigned last month. With ODFW considering a questionable water deal that could permanently affect water supply in Gorge communities, let’s just say there’s a lot to talk about. The media is paying attention, too, with stories in the Oregonian on January 23rd, and March 6th, an opinion editorial on February 14, a segment on Oregon Public Broadcasting’s Think Out Loud, and a radio segment on KBOO. People are on alert because ODFW could proceed with a water rights transfer that would throw out the public interest review process. Since 2008 ODFW has been considering a water exchange application with the city of Cascade Locks to allow Nestlé to bottle water. An exchange – while not desirable – at least requires the Water Resources Department to do a formal public interest review. This means the agency must look at the broader effects of the proposal to determine if a Nestlé water bottling plant is the best and highest use of Oregon’s pubic water resource. 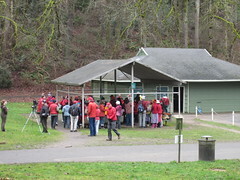 During the comment period after the proposal was filed, thousands of Oregonians filed public comments with the Water Resources Department opposing the exchange. Meanwhile, in late 2014, Nestlé approached ODFW about considering another way to give Nestlé access to this public water: a water rights transfer. In contrast to the water exchange proposal, a water rights transfer does not require a formal public interest review by the Water Resources Department (WRD). A transfer application does require a public comment period, but comments carry less weight in this process because WRD is not required to consider any comments that raise concerns about how the proposal will impact the public interest. Essentially, by pushing ODFW to do a water rights transfer, proponents of a Nestle bottling plant get around the public interest review red tape (last time we checked, this was called democracy) associated with the exchange proposal on file. Needless to say the idea that ODFW officials are even considering this water rights transfer proposal is offensive to the tens of thousands of Oregonians who oppose a Nestlé bottling plant in the Gorge, including those who submitted comments to the initial water exchange proposal; if ODFW proceeds with a transfer, the exchange application will be moot, along with the thousands of comments submitted for public review. Wonky corporate and bureaucratic maneuverings aside – water transfer or water exchange – opening the door to a multinational corporation with a nasty track record is a bad deal for Oregon. Our state agencies are tasked with protecting the people and resources of Oregon; a clean and accessible water supply is the most basic essential resource of all. Therefore, ODFW should reject the deal altogether. If it must consider creating a mechanism whereby Nestlé can bottle our water for profit, certainly that proposal deserves the most rigorous scrutiny possible, not a cursory look through the narrowest scope. The most important thing you can do to protect our water is contact Governor Brown and ask her to direct ODFW to stop reject the water transfer proposal and to reject the water exchange as well – the water in the Columbia River Gorge is there to benefit Oregonians, not to hand over to an multinational corporation like Nestlé to make profits. The most recent Oregonian article made clear that ODFW leadership needs to hear from the Governor’s office on this issue. We need to make sure that Governor Brown knows that Oregonians don’t want to set the dangerous precedent of using state agencies to welcome Nestlé into the state. We are cautiously optimistic that Governor Brown will protect our public water resources but we don’t actually know–that’s why we need to act now. Help us add organizations/businesses to a sign-on letter opposing the proposal. This letter to ODFW, cc’d to Governor Brown, is needed to demonstrate that this is an issue that all Oregonians care about. Simply visit the Take Action page or click on the “Sign your organization…” to find the letter. You can send this link to groups you think should sign on. On Tuesday, Bark, Food and Water Watch and Crag Law Center met with the Oregon Department of Fish and Wildlife to discuss its current transfer and exchange applications. When we asked them about this new proposed “water rights cross-transfer,” they stated that they are looking into it and that they will check in with the Governor’s office before proceeding. Governor Brown is new to this issue, so our action page provides a template that assumes she does not want to set a precedent by allowing State-facilitated water bottling. But let’s not leave anything to chance. Please, send Governor Brown your message today to welcoming her to her new position and ask her to protect the Columbia River Gorge and Oregon from Nestlé.